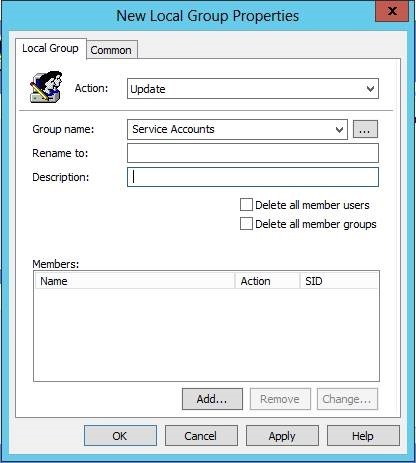 In order to set up an isolated Lab network, we need a way to handle the “isolation” part. 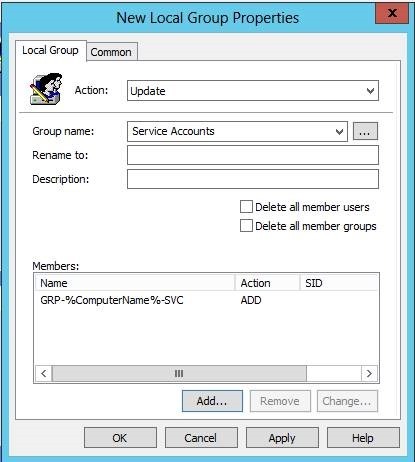 By doing so, we can allow the VM’s to still have internet access and/or access to the company LAN, but have no direct inbound access to them other than the vSphere console. By doing so, we ensure that the internal LAN for the labs, can be used without conflict with existing LAN’s. For example, DHCP and PXE booting would then be safe to use. 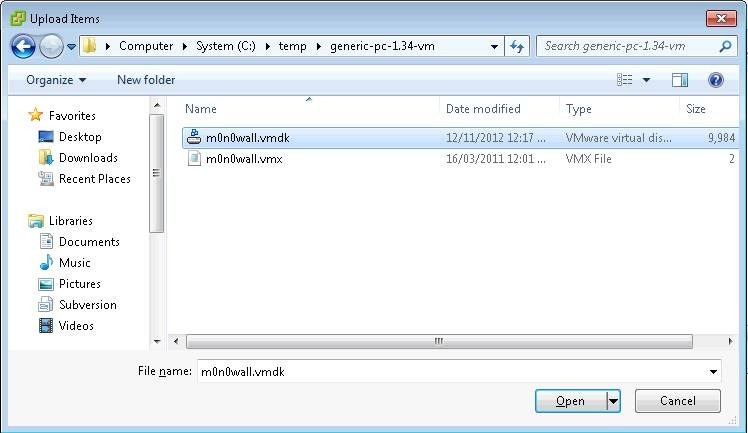 To do so, we’ll use a M0n0wall appliance, as this works well on VMware Workstation, vSphere, etc. 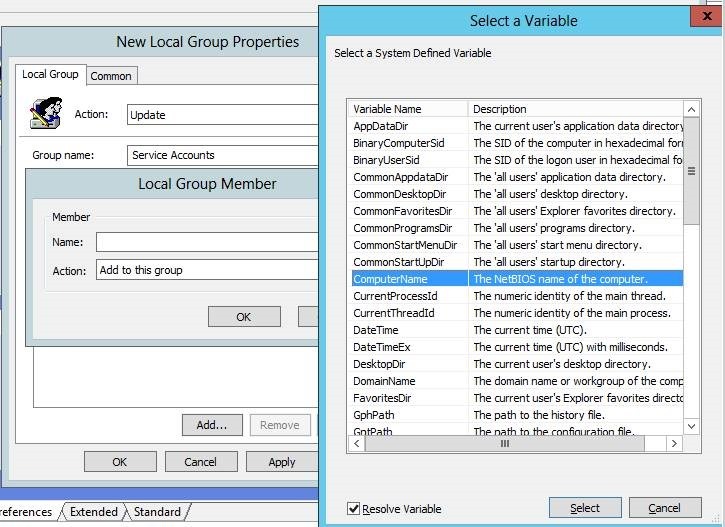 This example will cover building this for a VMware vSphere environment, vs VMware Workstation – but the concepts carry across. 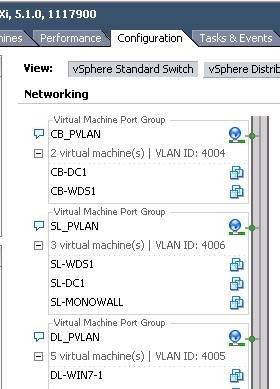 · An existing PVLAN configured on the Lab vSphere host – eg: DL_PVLAN – or, a VMnet in VMware Workstation. 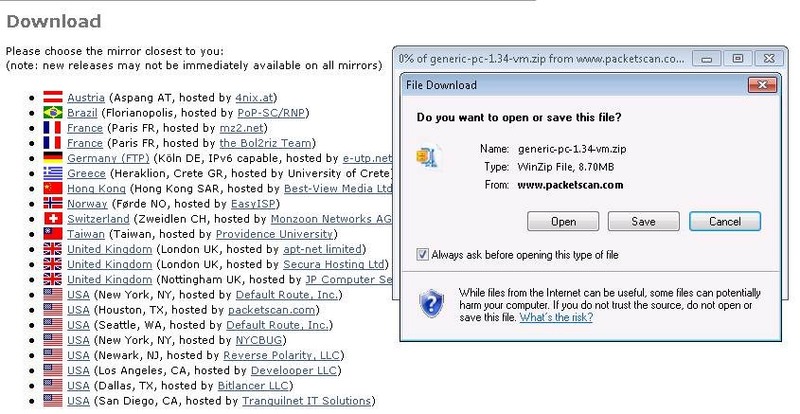 Select any appropriate mirror site to download from, and click the link. Save the file when prompted, to a location such as C:\TEMP. Unpack the zip file to a folder. You’ll be left with a VMDK (disk) and a VMX (configuration) file. 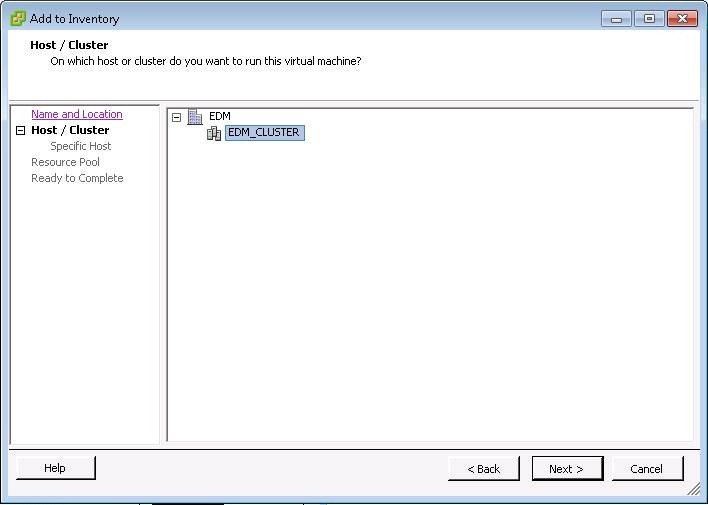 2) From the vSphere Client, browse to INVENTORY -> DATASTORES AND DATASTORE CLUSTERS. 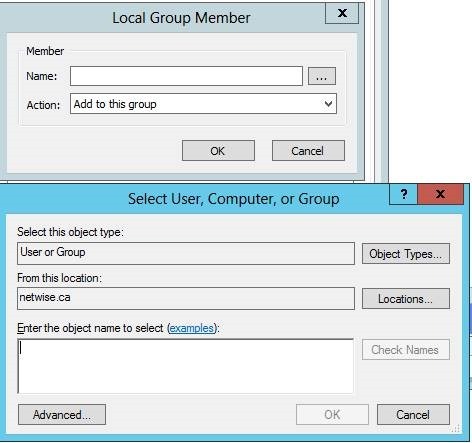 Find the datastore in use by the lab in question, right click and choose BROWSE DATASTORE. Click on CREATE A NEW FOLDER. Name the VM folder with the name of the VM. DL-MONOWALL, for example. Click OK.
Browse into the new folder on the left hand side. Ensure it has the OPEN FOLDER icon. Click UPLOAD FILES TO THIS DATASTORE. Browse to and select the VMDK file and click OPEN. Repeat for the VMX file. 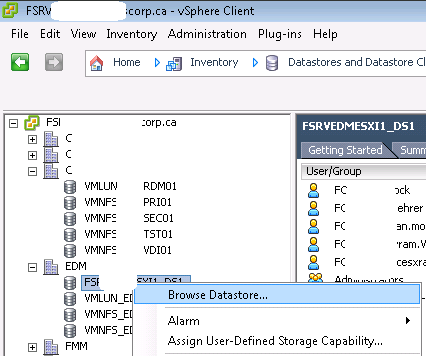 From the DATASTORE BROWSER, right click on the VMX file and choose ADD TO INVENTORY. Eg: EDM -> LABS -> DL-VM’s and name “DL-MONOWALL”. Click NEXT. 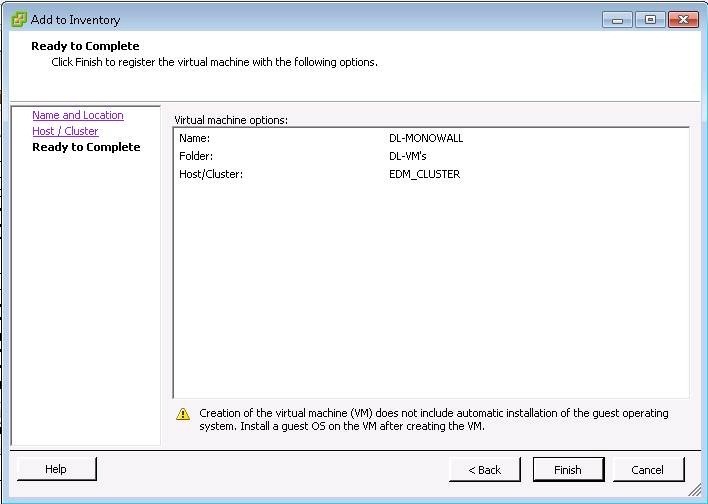 Choose the HOST/CLUSTER for the VM to live on and click NEXT. Complete the installation by clicking FINISH. 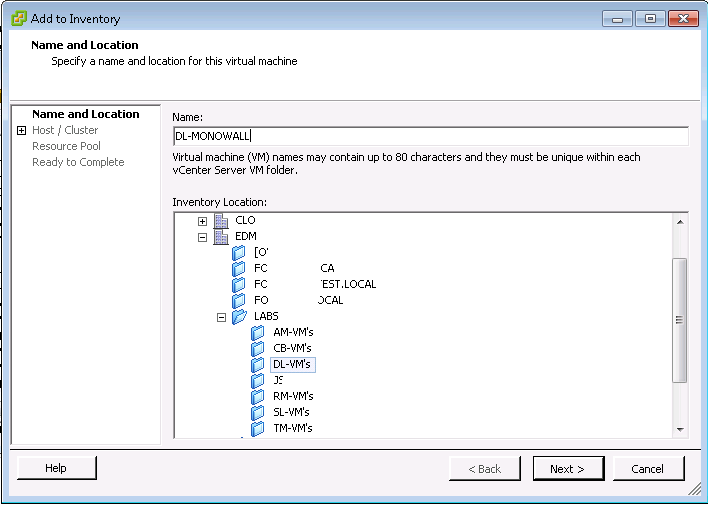 3) In vCenter Client, choose INVENTORY -> VM’S AND TEMPLATES. 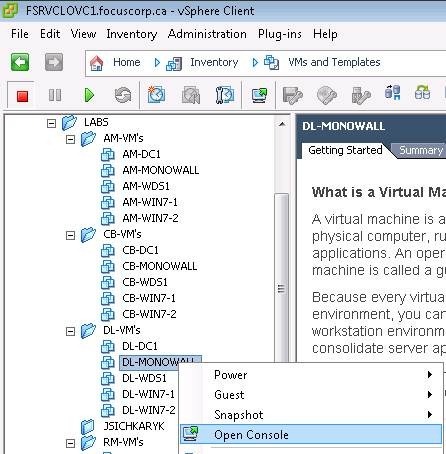 Locate the VM you just created, in the appropriate LABS -> DL-VM’S folder. Right click and choose OPEN CONSOLE. 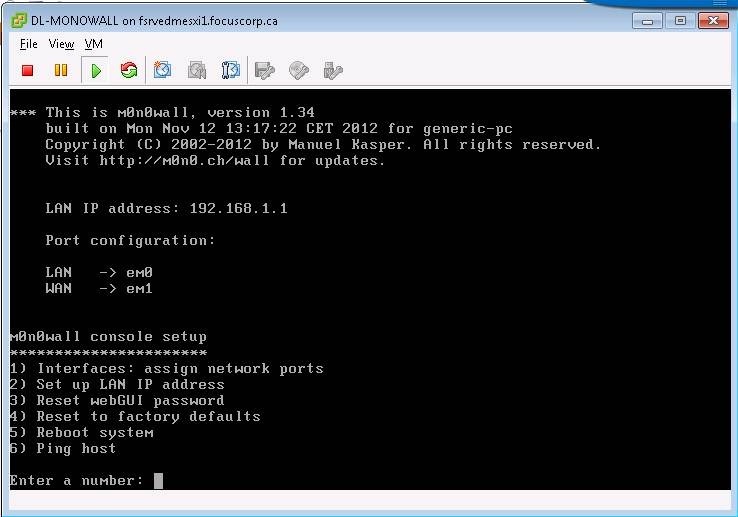 4) This is the point where deploying from the downloaded files or cloning an existing Lab Monowall VM would be similar. Highlight both NIC’s and choose REMOVE. Click OK. 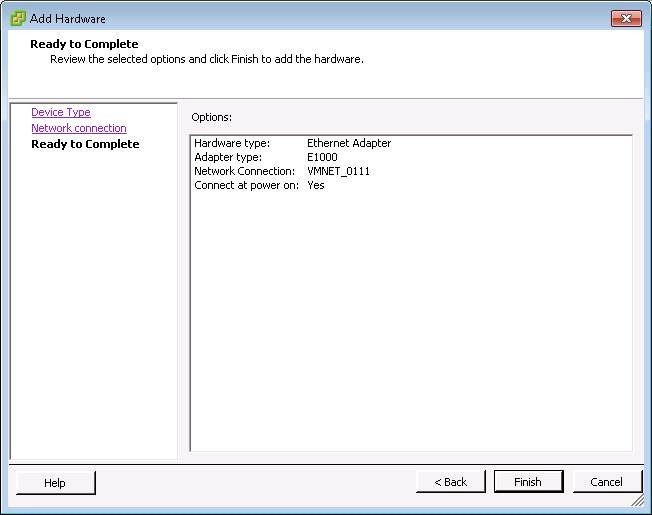 Choose ETHERNET ADAPTER and click NEXT. 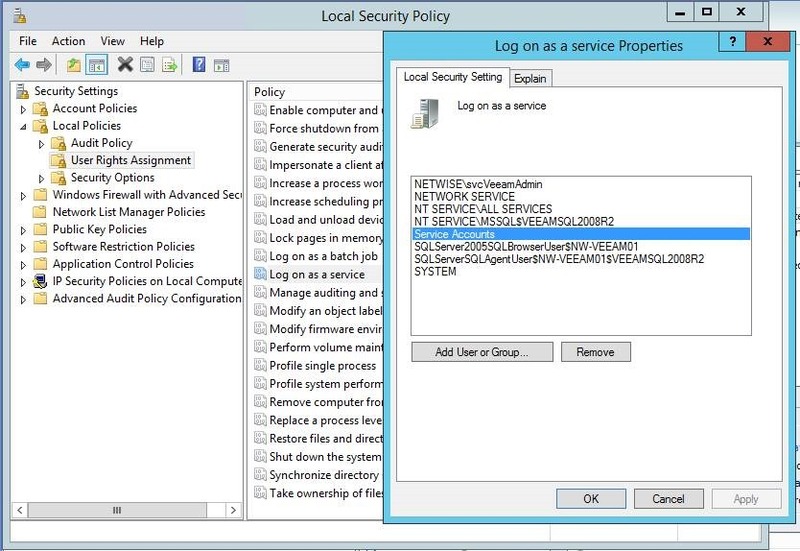 Repeat the above for the second NIC, but in that case choose the appropriate LAB network (eg: DL_PVLAN). 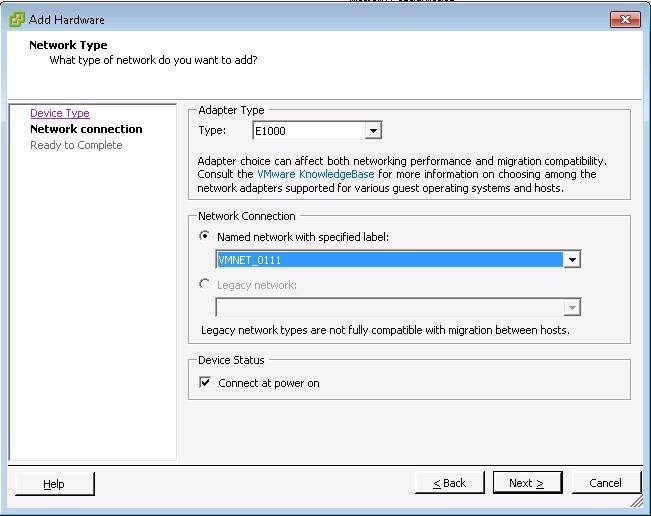 Choose Option 1) INTERFACES so we can reverse the LAN/WAN ports from EM0/EM1 to EM1/EM0. 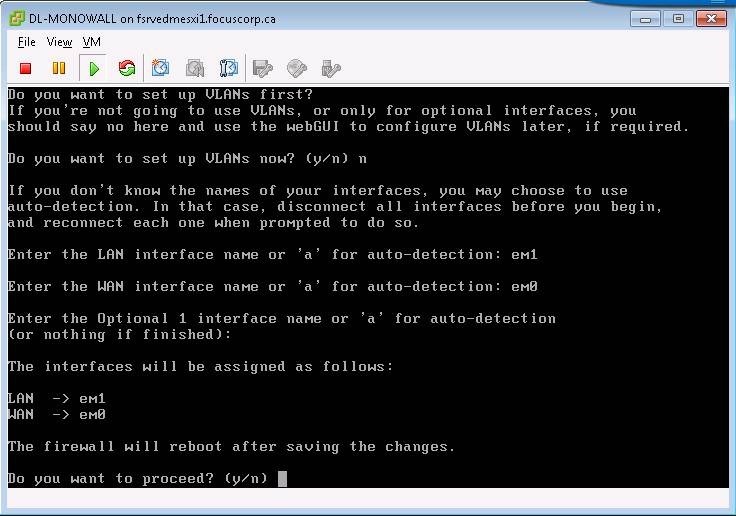 You will be asked if you want to setup VLAN’s (no). 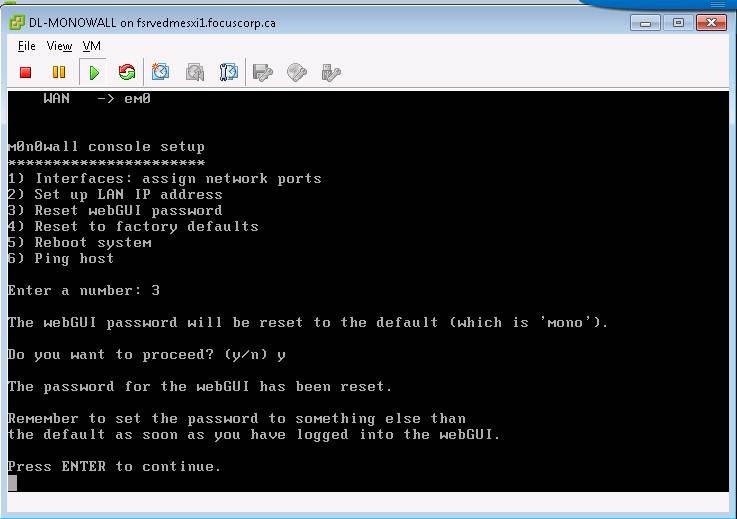 Enter the LAN interface of “em1” and WAN interface of “em0”. Press ENTER when finished. When prompted, type Y to proceed with a reboot. Enter the IP address of 192.168.<VLANID>.1. The DL_PVLAN for example is VLAN 4005, so we will use “5”. The subnet mask is /24, and we will not enable DHCP. Press ENTER to continue. Here you can see that DL_PVLAN is 4005, SL_PVLAN is 4006, etc. 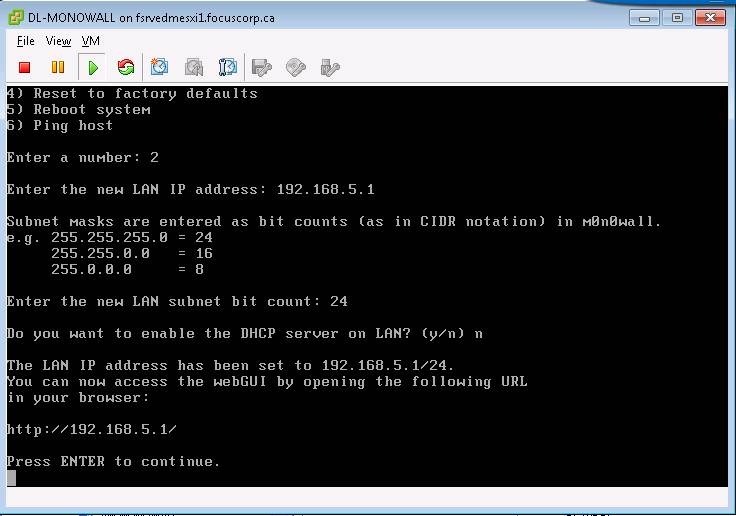 Remove “4000” from the VLAN ID to obtain the subnet ID – thus, 4016 would be 192.168.16.0/24, etc. 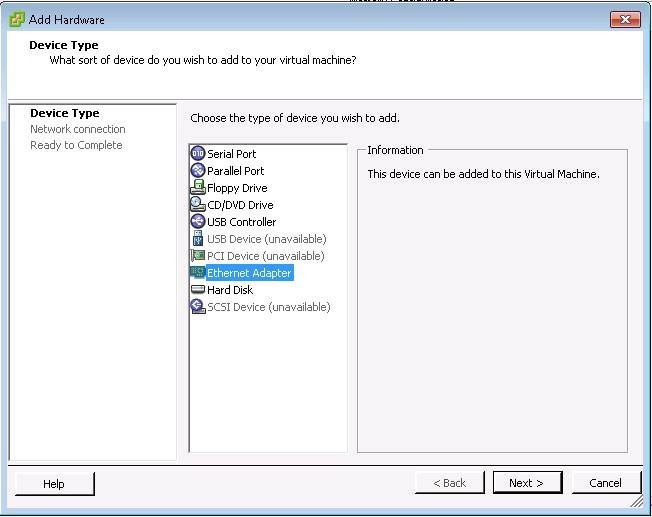 Choose Option #5 to reboot the VM. Now we have a working lab Monowall firewall. 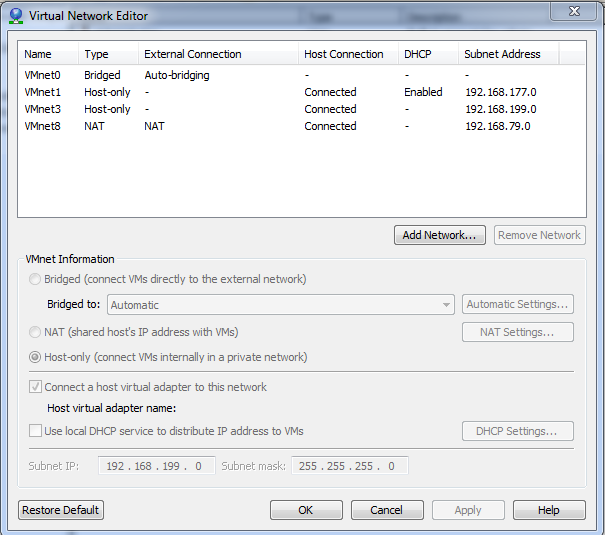 If you happen to be doing this work in VMware workstation, then the NIC’s in Step 4 would have the VMnic0 for the WAN, be on a BRIDGED VMnet NIC and then the LAN NIC would be on a HOST-ONLY network.